Leonard Thompson ran a successful fabrication shop in Tenino, Washington for about 20 years before becoming a Welding instructor at Perry Technical Institute. He used to help residents of the small town with their welding needs, so when some of them reached out to him recently with an idea, Leonard didn’t hesitate to see how he could lend a hand. 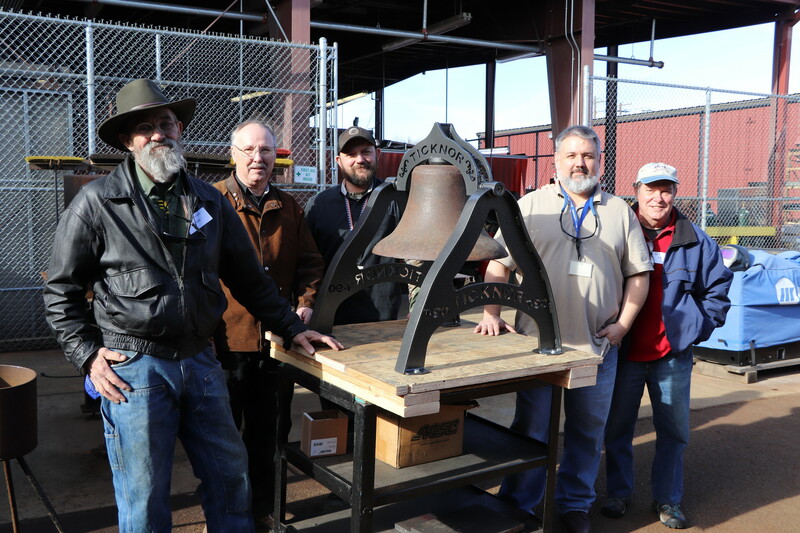 They asked if Perry Tech could help restore a century-old-bell that the community hoped to put on display. “Knowing these folks personally, I was eager to help them with a project they had been trying to complete for several years,” explained Leonard. The Welding and Machining Departments collaborated to make the vision a reality. Leonard worked with his Welding Lab Coordinator, Branden Calahan, and teamed up with Dan Steinmetz, head of Machining and Manufacturing at Perry Tech. “Branden and I got the fabrication and welding done after class hours and Dan Steinmetz’s machine class fabricated the moving parts of the assembly.” When the project was almost complete, a local shop donated the time and materials to powder coat the parts. The result of this collaboration will help Tenino’s history. Bob Hill says plans are being made to proudly display the bell outside the Ticknor Schoolhouse, which is a part of the Tenino Depot Museum. On the bell, you can see the Ticknor name displayed on the parts Perry Tech created, along long with the “T-9-0” nickname for Tenino.